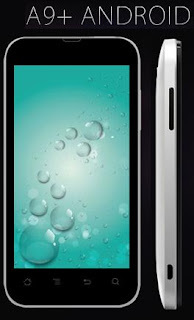 Powered with 5 MP camera, 4 inch touch screen, Karbonn A9+ price in India is Rs. 8,959 (best price) for Indian consumers who wish to buy from online stores. Karbonn A9+ price in India for retail stores as well as official MRP is Rs. 10,990, the price at the time of launch. Karbonn A9+ features 4GB of internal memory, USB, Bluetooth, Wi-Fi for connectivity which makes it suitable for even professional category of consumers. Karbonn A9+ specifications include pearl white color model, 1420 mAh battery and sleek dimensions in bar form to make it more appealing and attractive. Karbonn A9+ price is highly attractive given its high quality of features which enhances its usability for various applications. Karbonn A9+ features Android 4.0 OS which is among the latest available in most of the similar smartphones in Indian market. Karbonn A9+ also has 5MP primary camera which will give top end quality experience both in photography as well as in video recording. The only disadvantage of Karbonn A9+ is that it doesn't have 3G connectivity which is common in mid range smartphone now a days. Karbonn A9+ specifications include 1420 mAh battery which gives talk time of 4 hours and stand by time of upto 9 days which makes it suitable for people who need to use it not very heavily. Karbonn A9+ is available in pearl white model and has very light to ensure easiness while carrying this smartphone anywhere. Designed in bar form, Karbonn A9+ specifications are suitable for entry level users like students, young professionals. Karbonn A9+ price can be termed as highly justified especially for people looking for good camera, connectivity and memory features. However it is not suitable for people who love to play songs, watch videos, play games for long hours due to short battery life.